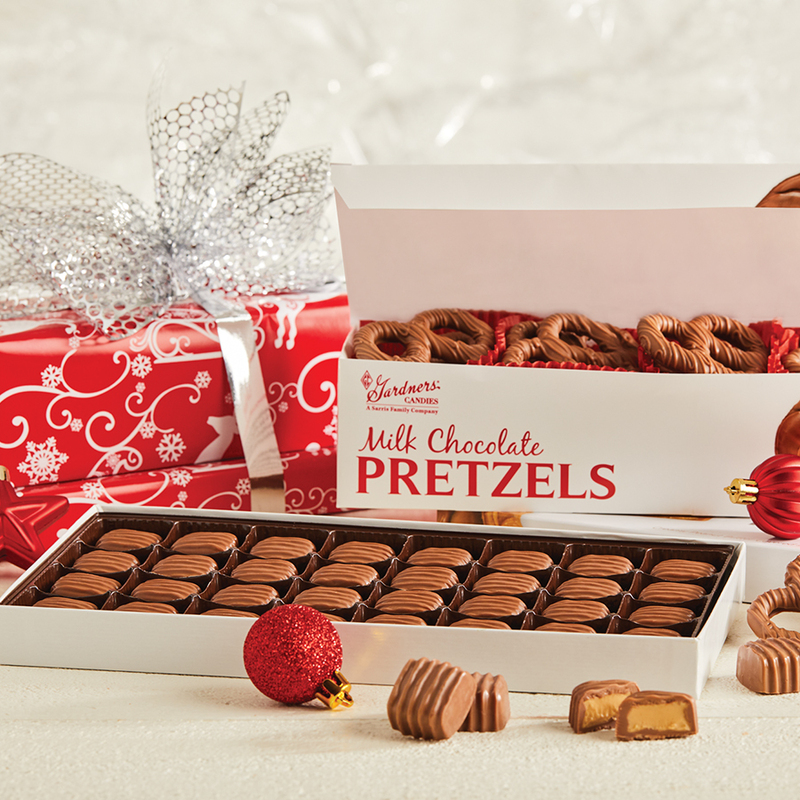 We've gathered our most popular boxed chocolates and created a delectable combination perfect for customers, friends or coworkers. Our Red Tier is stunningly packaged in shimmering foil wrapping paper, tied together with a generous swathe of satin ribbon, then topped with a festive bow. The Red Tier features: 1 lb. Gardners Original Peanut Butter Meltaway® and 12 oz. Chocolate Covered Pretzels.